IN a way, it’s a wonder that we were surprised at all. The image reflected back to us in the looking glass provided by the sweeping referendum results proved to be as familiar to us as that of our own faces. It was a portrait of a wiser, more careworn Ireland that has learned the hard way how things can go – but has learned its lesson well. Instead of becoming bitter and hard-hearted, we have emerged as gentle, compassionate and even more determined to shape a better future. 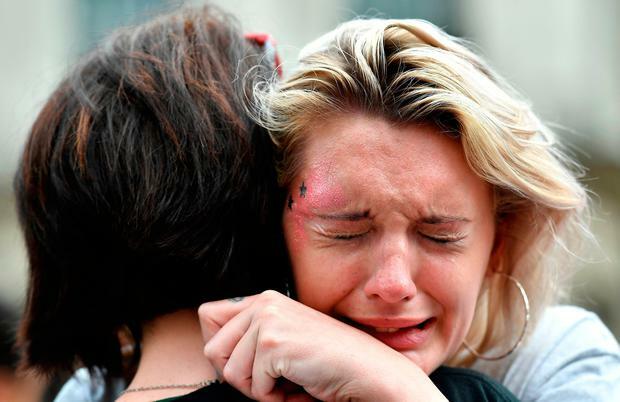 The change in attitudes had happened so long ago there was no longer anything truly radical about it – and therefore the laboured translations of this ‘surprising’ result from ‘conservative Ireland’ by foreign pundits were slightly exasperating. “They could have run this referendum 10 years ago and gotten the same result,” an onlooker declared fiercely on Saturday. Many who had returned in the ‘Home to Vote’ wave had done so because they feared how ‘elections have gone lately’, citing both Trump and Brexit as examples. But such toxic influences were powerless in the face of the truth which emerged in the form of personal, heartbreaking stories that were insistent and impossible to ignore. We still feared how it might go, thinking that, perhaps, we knew only our own little bubbles. So we wondered right up until the end, even in the face of two exit polls of crystal-like clarity. “Because you never know,” people in the count centres warned each other. In the end, though, there were no bubbles at all, and when all the dots were joined, the picture proved a true likeness of modern Ireland. With all its flaws yes, but, overall, an image we are happy to come face to face with in the mirror. An image we can improve upon. There was neither an urban/rural divide nor a male/female divide. There was no class divide. There was not even an age divide really worth mentioning. In fact, the only divide that emerged was that between the electorate and the political class, which had been far too fearful to handle such a hot potato as the referendum and which had to be dragged, kicking and screaming, to the polling stations. But as it proved, the people were relieved to finally be given an opportunity to grapple with their consciences and make hard decisions, having chosen to listen to courageous women and to their powerful personal stories. From each and every one, we learned something new that moved us deeply and educated us further. “The requirement for balance in the media skewed the true picture on the ground,” declared Dr Peter Boylan, at the RDS, saying he had known how women felt about the issue after working with them for more than 40 years. “But I have to say this is not about doctors, this is about women,” he said. Even as the results were still unspooling, the last shreds of secrecy and shame were melting further away. Children’s Minister Katherine Zappone and Dr Boylan were each met and thanked by a tearful woman who shared her own story of having to travel for a termination, young, frightened and alone. To this day, 21 years later, one woman has never even told her own family for fear of what they might say. “They’re a very traditional Catholic family,” she said. What had this result meant for her personally? Amid the emotion and the unravelling narrative of the count results at the RDS in Dublin, the chairperson of the National Women’s Council of Ireland, Ellen O’Malley Dunlop, shared an intriguing story of being at the UN where she was hailed by two nuns who had given her a surprising thumbs up. “I met them afterwards and in low tones they had said ‘we understand the complexity of pregnancy and we trust women’,” she said. Then they added that “if Jesus had been alive today”, he would have been a repealer and would have used his vote for compassion, she added. She said she wouldn’t reveal the nationality of the nuns because “it wouldn’t be fair”. As more and more people squeezed into the courtyard at Dublin Castle prior to the official announcement of the final vote, it became clear that this rapturous, though still quite resolutely low-key, celebration was not merely about repealing the Eighth Amendment. It was a powerful, deeply symbolic moment to stand in tribute to Irish women down the ages who had suffered so much at the hands of poverty, the Church, the government and society as a whole. They all seemed to have a presence here – Ann Lovett, the 15-year-old schoolgirl who had died at a grotto while giving birth; Joanne Hayes, who only last January finally received an apology from gardaí after the hounding she had received in the Kerry Babies saga. Then, in the corner of the courtyard, a chant went up of “Savita” that brought a lump to the throat. No wonder so many tears were shed. But, already, you could feel the anger evaporating in the warm afternoon sunshine. It was the start of the process of moving on – and it was truly a moment to savour. It felt healing. “The women who will actually benefit from this most won’t have known any different,” remarked Fianna Fáil’s Timmy Dooley in the crowd. “So many women over the decades had been helpless and unable to share what they had suffered, shipped away under the cover of darkness when they should have been treated by their own doctor at home,” he said. Ruth Coppinger, the Solidarity TD, said this was a victory delivered primarily by young people, the generation often disparaged as ‘snowflakes’. 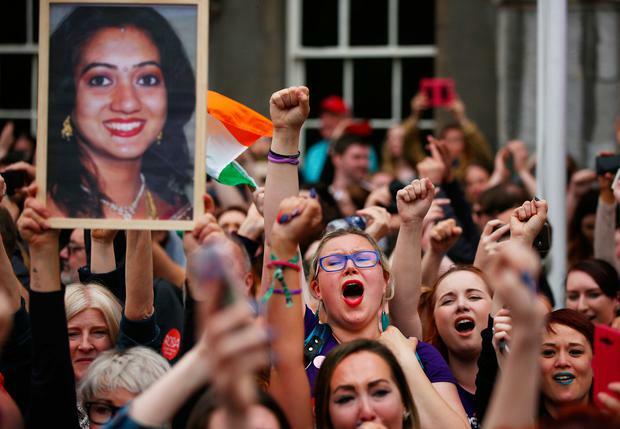 “They were the ones who said enough was enough and made this an issue, particularly after the tragic and unnecessary death of Savita Halappanavar,” she added. “That’s it now – there are no big landmark ones left,” declared a civil servant as he stood on the steps of the media centre, recalling the marriage equality moment. Sometimes to ‘live in interesting times’ turns out not to be a curse after all. Kevin Doyle: Could Micheál Martin be the first leader to launch a heave against his own party?